Mr. Vice President. 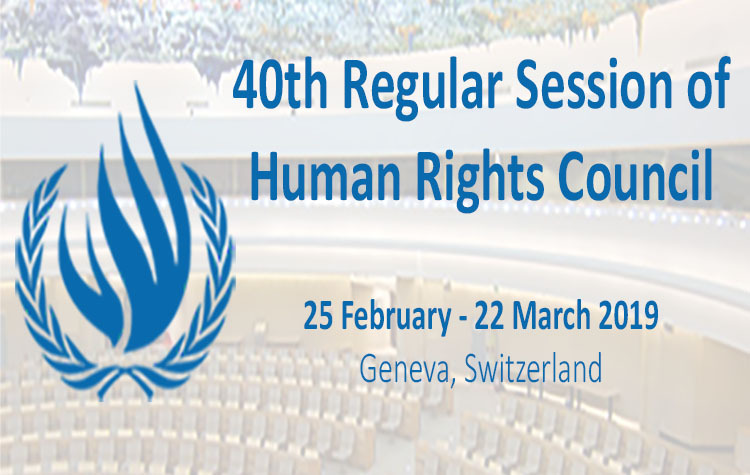 FORUM-ASIA draws the Council’s attention to the situation of human rights in a number of Asian countries. In Malaysia, the Sedition Act, the Peaceful Assembly Act and Section 124(b) of the Penal Code have been repeatedly used to restrict freedoms of expression and assembly. This July, democracy activists and peaceful protest organisers Mandeep Singh, Adam Adli and Syukri Razab, were arrested by the police ahead of a protest calling for the Prime Minister’s resignation following a financial scandal. While recognizing that in August, Bersih 4.0 rally was allowed to proceed without incident, we remain seriously concerned that many organisers of the rally are now being investigated or charged for involvement in peaceful protests. The Malaysian government should drop all politically motivated charges against human rights defenders, opposition politicians and activists, and repeal or review all regressive laws. In Thailand, repressive legislation continue to restrict the free flow and dissemination of information online. Article 112 of the Criminal Code and the 2007 Computer Crime Act are often used against dissenters. Under the current military government there has been a drastic increase in the number of lèse-majesté cases with heavy sentences, while activists, opposition leaders, academics and journalists have been detained for ‘attitude adjustment’. Just this month, prominent journalist and vocal critic Pravit Rojanaphruk, was held incommunicado for three days before being released. Lastly, in Bangladesh bloggers who advocate pluralistic religious views and criticise religious extremism have faced increased attacks by non-state actors. This year alone, four Bloggers have been killed allegedly by religious extremist groups. The government’s expansive use of the Internet and Communication Technologies Act (ICT Act), to arrest dissenters adds to our concerns. We urge the government of Bangladesh to protect bloggers and activists from targeted attacks and killings and to conduct credible investigations into the killings of bloggers. We also call on the government to repeal all repressive laws including the ICT Act. FORUM-ASIA (31 August 2015), Malaysia: Bersih 4.0, A Peaceful Assembly for A Democratic Reform in Malaysia. FORUM-ASIA (3 September 2015), Thailand: The ‘not guilty’ verdict in Phuketwan journalists’ case sets a precedent for online freedom of expression. OHCHR (11 August 2015), Press briefing on Thailand and Mali. FORUM-ASIA (10 August 2015), Bangladesh: Brutal Killings of Bloggers Must Stop.